Khedar Eliseo Rickhi Flores Copy and paste the coupon code when checking out. Applies to purchases over $50. nelio I am re-activating this expired deal. I will update it and validate that it works. 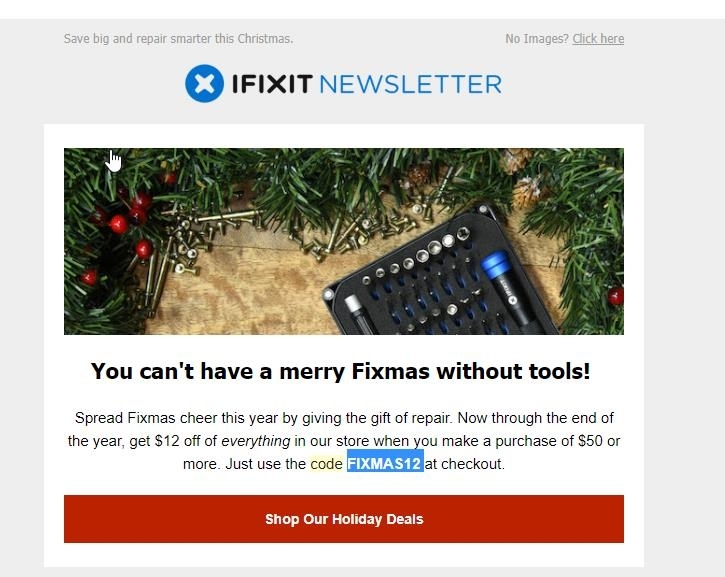 Use code FIXMAS12 to get $12 off order over $50 at iFixit. 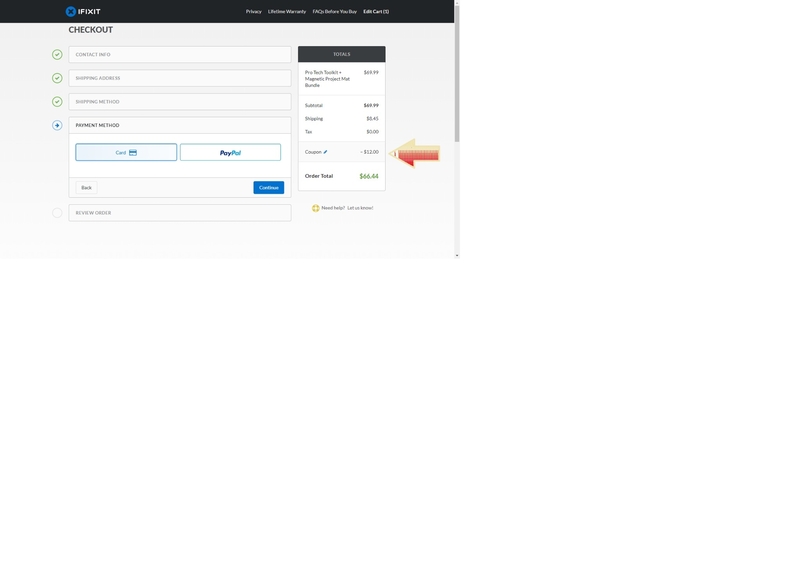 Alice Laraine I am validating that this deal works as described and it is totaly available while the duration time has not expired. All you have to do is add in your cart items for a value of $50+ and enter the code during the checkout process to apply this discount. There may be some exclusions that apply to this deal. 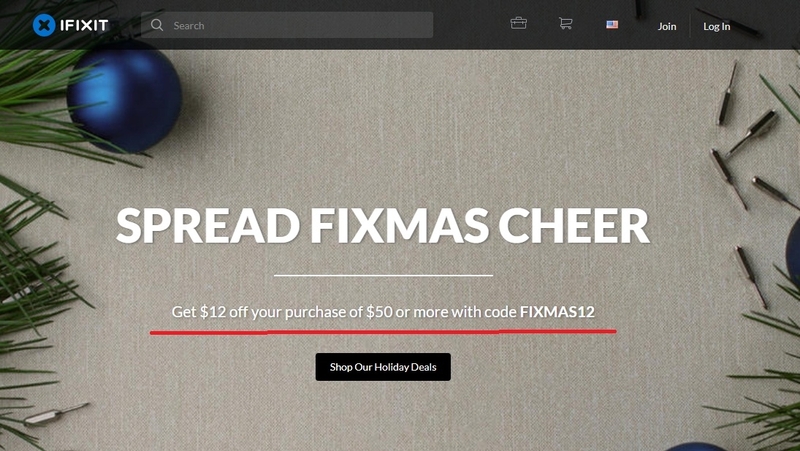 DealsIn Apply promo code FIXMAS12 in the shopping cart. Offer cannot be applied to previously placed orders, and some restrictions may apply.